For information on this exciting event on June 16-17 in Madison, please click on the link above. Do you want to know more about the current situation in Libya? Monday April 25 at 6pm in the Memorial Union (for room check TITU). No tickets required, seating may be limited. who will be discussing recent events and hosting a Q&A. 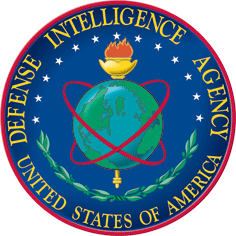 international security, foreign policy, international political economy, and political methodology. and economic outcomes whether at the domestic or international level. regional trade agreements, international influences on democratization, and economic interdependence. Posted in Events, Lectures, Opportunities. The Middle East Studies Program will be hosting the final lecture of our Spring Lecture Series on Wednesday, April 20 at 6 pm in Ingraham Hall, Room 206. Professor Mehdi Bozorgmehr will be giving a lecture entitled “Backlash 9/11: Middle Eastern and Muslim Americans Respond” based on his book of the same title. This award-wining book is a comprehensive analysis of the impact of hate crimes and government initiatives on Middle Eastern and Muslim Americans after 9/11 and the organized responses of these communities. Mehdi Bozorgmehr is Professor of Sociology and founding Co-Director of the Middle East and Middle Eastern American Center at the Graduate Center, City University of New York. For more information, please visit mideast.wisc.edu or email cmes@mideast.wisc.edu. Please see attached flier. Thanks so much and we hope to see you there! Posted in Discrimination, Events, Lectures, Opportunities, US-Middle East Relations, War on Terror. The conversation with Rezaei and Jetha is made possible by the ongoing series “Great World Texts in Wisconsin,” sponsored and organized by the U.W. Madison Humanities Center. This year’s “world text” is 1001 Nights. Following on teachers’ workshop in fall and spring semesters, the Center is hosting a student conference on Wednesday, April 6, 8:30 – 3:30 in the Memorial Union to showcase the work of high-school students from around the state who’ve been reading 1001 Nights in their classes. Rezaei and Jetha are the keynote speakers at that conference. Posted in Arabic, Arts and Literature, Events, Opportunities. As part of the Middle East Studies Program Spring Film Series, there will be a free screening of Waltz with Bashir on Tuesday, April 5 at 6 pm in Humanities room 1131. 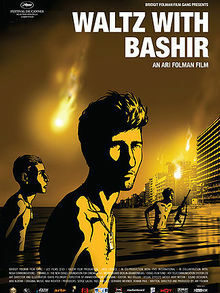 Waltz with Bashir (2008) is internationally recognized as one of the best Middle Eastern films in recent years. The film is an Israeli animated documentary film written and directed by Ari Folman. It depicts Folman in search of his lost memories as a 19 year old infantry soldier in the Israel Defense Forces in the 1982 Lebanon War. The film was nominated for the Academy Award for Best Foreign Film and won the Best Film Award from the National Society of Film Critics. For more information, email cmes@mideast.wisc.edu or visit mideast.wisc.edu. Posted in Events, Film, Israel, Lebanon, Opportunities. My roommate and I are planning a philanthropy concert for the victims of fires that took place in the Carmel mountains. One of the artists featured is Y-love, and African-American Jew who raps in five languages: Arabic, Aramaic, Yiddish, Hebrew, and English. A lot of his songs are about peace in the Middle East and world peace. We believe a lot of Middle-eastern studies students would be interested in attending this concert. The concert is Thursday, April 7 and doors open at 7 pm. Tickets are available online at http://www.uwhillel.org/hiphop or people can contact me (zbmiller@wisc.edu) if they would like to skip the online process and get paper tickets immediately. Interested students should act soon. Thanks. Posted in Events, Israel, Opportunities.